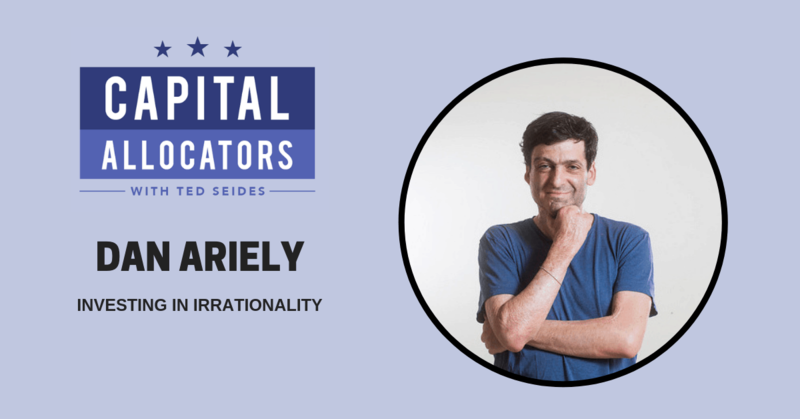 Dan Ariely is a leading behavioral economist, author, entrepreneur, and investor. He is the James B. Duke Professor of Psychology and Behavioral Economics at Duke University and a founding member of the Center for Advanced Hindsight. He recently also became a Founding Partner of Irrational Capital. He is the author of six books, most of which have the word Irrationality in the title and has a weekly column in the The Wall Street Journal called “Ask Ariely.”. Dan’s TED Talks that have been downloaded more than 10 million times. Our conversation starts with Dan’s journey studying pain and intuition and turns to applications of his research in the corporate setting. We discuss his research process, measurement of human capital, applying experiments to an investment strategy, employee motivation and compensation schemes as investment factors, and constructing a portfolio of factors based purely on human capital. We close by touching on Dan’s projects in government and with start-ups.